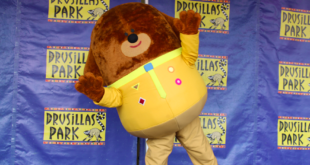 Mascot and character events specialist manages personal appearances and activities of over 100 licensed characters. 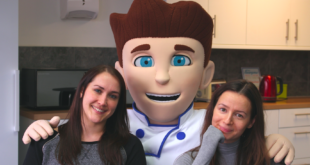 Rainbow Productions is gearing up for a busy run up to Christmas, with a raft of character appearances in the diary across shopping centres, promotional tours, Christmas lights switch ons and rugby matches. The mascot and character events specialist began its Christmas time events earlier this month, with activities including Ben and Holly’s storytelling sessions within Centrale shopping centre’s line-up for the Christmas Lights Switch On event. This followed on from October half term Ben and Holly experiential activity within the shopping centre. During the Christmas lights switch on event on London’s Oxford Street, the firm managed the personal appearances of the Penguins from Madagascar. November 16th sees the Penguins return to central London for the Regent Street Christmas Lights event, where they will be joined by Po from Kung Fu Panda, as well as Toothless from the How to Train Your Dragon franchise. October also saw Rainbow Productions manage the presence of the Madagascar Penguins on behalf of 20th Century Fox as part of a promotional tour, stopping off at shopping centres and stores such as Hamleys. November is off to a flying start. A selection of upcoming November lights switch-on and festive events featuring live appearances from licensed children’s characters is detailed, below, with appearances continuing up to and including Christmas Eve. • 14/11/14: Red Bird, Angry Birds in Chatham town centre. • 14/11/14: Octonauts mini show with Captain Barnacles and Kwazii at Golden Square Shopping Centre in Warrington. • 15/11/14: Mikey and Donnie from the TMNT head to Bo’ness & Grangemouth in Scotland. • 15/11/14: Raymond Briggs’ The Snowman heads to The Ridings Shopping Centre in Wakefield. • 19/11/14: Noddy heads to Barnsley Town Centre. • 20/11/14: Ice Age’s Sid & Scrat will attend the event organised by High Wycombe BID. • 21/11/14: SpongeBob SquarePants will go to the Gillingham festive lights event. • 22/11/14: Thomas and The Fat Controller will be present at the Burgess Hill, West Sussex event. • 23/11/14: A Fireman Sam mini show will be part of the line up at the Kingdom Shopping Centre’s Christmas event, Glenrothes. • 26/11/14: Postman Pat and Ben Taylor will be delivering their mini show to family audiences during Coventry’s Broadgate shopping centre event. Aside from the raft of Christmas themed events Rainbow Productions is involved with, the company continues to manage sports appearances such as the RFU’s Kids First mascot, Ruckley, attending Twickenham for four consecutive Saturdays – starting on November 8th during the England Vs. New Zealand game and ending when the England team plays Australia on November 29th. The company also continues to look after Paddington Bear public appearances. His engagements are particularly busy in the period surrounding the world premiere of his movie release on November 28th. Paddington recently met passengers at BAA’s London Heathrow; before the end of the year he’s also set to visit Selfridge’s in London and the Trafford Centre; the Museum of London; leisure attraction, Wheelgate Park plus St. Tydfil shopping centre in Wales and Newlands in Kettering. 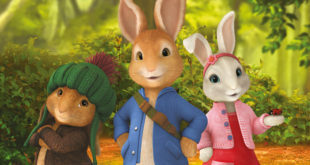 David Scott, MD of Rainbow Productions, said: “This time of year is always particularly busy for Rainbow Productions. Alongside supporting licensors with their own brand marketing initiatives, we’re pleased to be working with shopping centres, stores and town centre managers across the country to deliver positive brand experiences for the public, while helping raise the profile of licensed merchandise at this key time in the retail calendar."